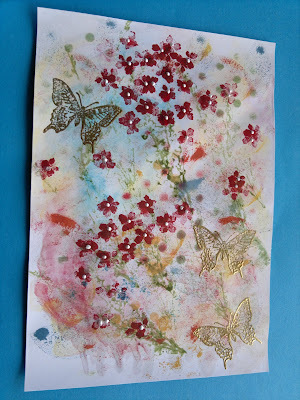 Kay's Crafty Designs: Playing with inks and paper. I was inspired by Creative Jump Start by Natalie's studio and decided to play with some inks, a mask with circles, stamps and embossing. I put some blue red and yellow ink onto a craft sheet and transferred it onto a sheet of paper. I didn't like that so I spritzed the ink on the craft sheet with water and swirled it with my finger and put the paper onto it again. I liked what I got and I decided to use a mask with circles on top of the background. You can still see some of the green and blue dots near the top. 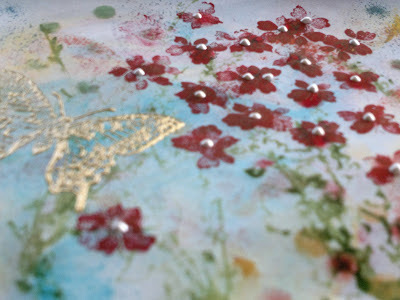 I put too strong a red on it so using a small butterfly stamp I created flowers out of them. It looked like a garden so I embossed some larger butterflies onto it in gold and then added centers in the flowers using liquid pearl drops. 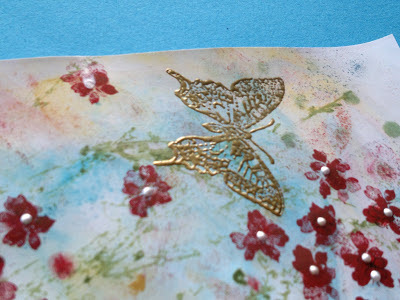 I will stamp and emboss some extra butterflies and put them on to create a 3D effect. 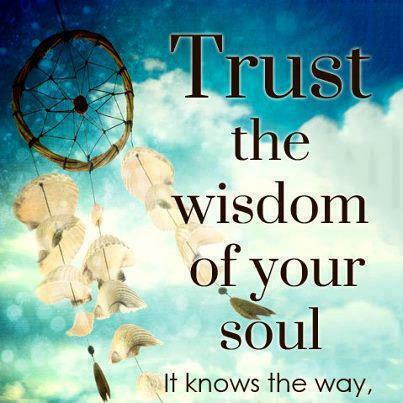 I hope it inspires you to try something different. Hi, all that work paid off as you have an amazing card. 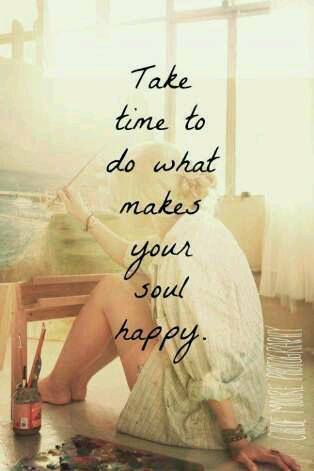 Hope to see you at one of Yvonne's many workshops. Aiveen.